I like David Koch. I must confess I like Mel, Natalie and Fifi more, but David, by my standards, is a cut above the rest when it comes to daytime television. BUT, and this is a big BUT, I like David far less when he delivers blanket statements such as a “property catastrophe is underway in places like the Sunshine and Gold Coasts”. I was going to stay out of this, but the negative impact of David’s comments has been substantial. The power of celebrity these days cannot be underestimated, and with it should come much more care. Yes, both coasts have experienced a sustained property downturn. And for generic lifestyle-orientated property in both locations, the decline in value might not yet be over. For well- understood reasons, the current situation is warranted. But there are always markets within markets and available advice beyond “just don’t go there”. As I covered a few weeks back, a property’s value is only partially dependent on the broader market conditions. Studies show that about 40% of growth (or otherwise) can be explained by trends in the overall market. The all-important 60% comes down to more individual factors such as location, the style of housing, its design and inclusions, and the income/demographics of the area. A major driver behind this 60% is new infrastructure. I have googled David Koch and discovered that on many occasions, he supported such claims. David and Libby’s investment advisory columns frequently advocate such. So why, David, is a place like Kawana (which is on the Sunshine Coast) up shite creek, when one of the largest infrastructure projects in Australia – being the 6th largest teaching hospital in the world – is about to start construction? And in support, there is a hell of a lot more going on in the Kawana area on the Sunshine Coast that most know about. It is, after all, about a kilometre away from the beach, so maybe the Sunrise cameras couldn’t find it. The Sunshine Coast University Hospital or SCUH for short will be a PPP with Queensland Health. The short-listed partnership consortiums are Lend Lease; Thiess/AbiGroup and Lang O’Rourke. Construction is planned to start in 2013, with stage one of 450 beds completed in 2016, expanding to 738 beds in 2021. The hospital will create 2,000 construction jobs and 3,500 permanent jobs once complete. It is expected that over 15,000 people will visit the hospital each and every day. Ramsay Private Hospital. Co-located with SCUH. Construction is now underway and in late 2013 this 200-bed private hospital will house 700 permanent employees and create 360 jobs during construction. SARC or the Skills, Academic and Research Centre will provide teaching and research within the hospital campus. A $61 million capital investment, with 150 academic and support staff catering for 1,300 students each year. KHIP (don’t you love all these acronyms) or Kawana Health Innovation Park will be a commercial precinct distributed across a number of sites across the hospital campus. Kawana Town Centre and medical precinct. The town centre – adjacent to the SCUH, will commence in 2013 too. The town centre incorporates 80,000m² of retail, commercial, community and entertainment facilities as well a medium density residential sites. The town centre is expected to generate around 5,000 jobs during construction and similar in permanent positions upon completion. The “Kawana Health Hub” – for the sake of calling it something – is a very big regional initiative, comparable with a major resources project. Yet few know about it. It is a game changer; a recovery catalyst; a smart job generator which the likes of David Koch should be spruiking rather than carpet bombing. For those who are a little poor at maths, the Kawana Health Hub will employ around 2,000 construction workers at any one time between now and at least 2016. In addition, it is projected – yet international case studies of similar major infrastructure projects suggest a higher multiplier – that 10,000 permanent jobs with be created in the locality. The vast majority will be new jobs. The back of an envelope demand analysis – relax I have been doing them for close to 25 years and rarely get this stuff wrong – suggests that 10,000 new jobs will create the demand for between 5,500 and 6,000 new dwellings. 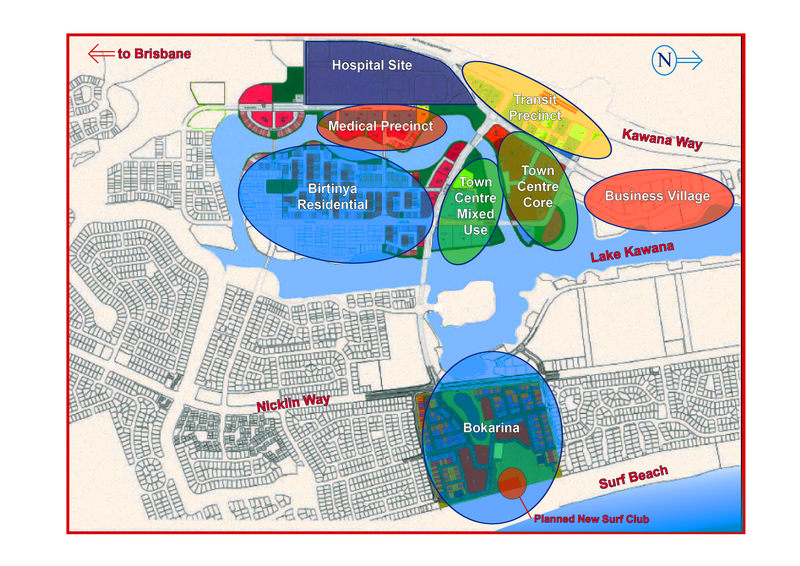 Yet, the approved residential offerings in the region suggests that 3,500 new dwellings can be supplied in the adjacent ‘Birtinya’ neighbourhood and a further 1,000 new residents on the beachfront parcel known locally as ‘Bokarina’. The projected 10,000 permanent jobs, by the way, exclude those generated from new housing construction, which most readers know can also be substantial. The average daily spend in the Kawana area over the next five years will be $1.5 million. I repeat – $1.5 million per day. The Sunshine Coast University Hospital alone is valued at $2 billion and represents almost a quarter of the current Sunshine Coast regional economy. It is estimated that it will inject about $700 million into the Sunshine Coast economy every year and will be the Coast’s single largest employer. Now for the life of me, I don’t see how this part of the Sunshine Coast can be labelled “catastrophic”. Oh, and by the way, three-quarters of the Sunshine Coast’s permanent population of 340,000 actually live within the Kawana catchment area. So, David, instead of labelling the Gold and Sunshine coasts as “property catastrophes” maybe a more subtle message is needed. “There is little doubt that both the Gold and Sunshine coast residential property markets are doing it tough. Buyers do have a lot of choice and for generic lifestyle-orientated stock; asking prices are still under pressure. Astute buyers of older second hand stock, however, can now buy below replacement cost. Investors should always focus on property adjacent to existing and especially new infrastructure. The most successful residential investors also hold for the long-term. 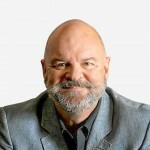 Michael Matusik will be a guest presenter at our National Property Market & Economic Update 1 day training in Brisbane on March 10th. Click here to find out more and reserve your place. Michael, thank you very much for clarifying the tabloid style headlines that have been scaring home owners on both coasts. Of course there is a flat spot in the market, but using words such as ‘catastrophic’ achieve nothing but stress for existing homeowners. Then again, it’s a personal conspiracy theory of mine that the media intentionally trigger unnecessary stress to random sectors of the Australian population each day, in order to stimulate various business sectors!